From the prehistoric cave paintings in Krabi, to the breathtakingly surreal Wat Rong Khun in Chiang-Rai, Thailand is home to a stunning array of historically and culturally significant sites. If you’re travelling to Bangkok, check out Wat Pho — one of oldest and most spectacular temples in the city, replete with intricately-detailed architecture, beautiful murals, ancient statues of Chinese warriors, and the huge, awesome ‘Reclining Buddha’. 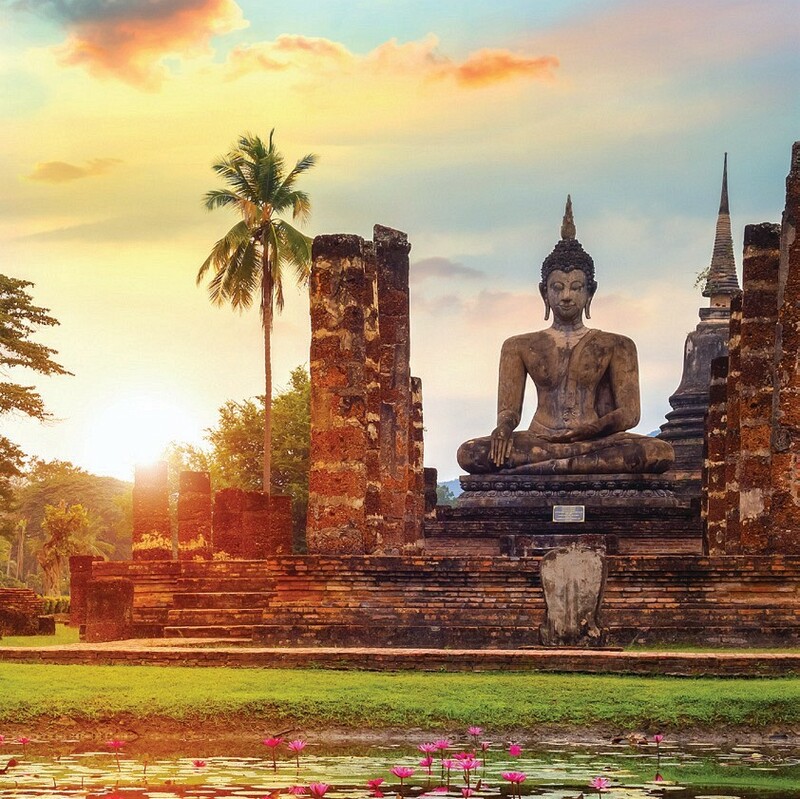 For a more tranquil experience, travel north to Sukhothai Historical Park — ancient capital of the 13th Century Sukhothai Kingdom, and a modern world heritage site. Hire a bike and spend the day exploring the vast and well-preserved remains of its ancient palace and twenty-six temples.